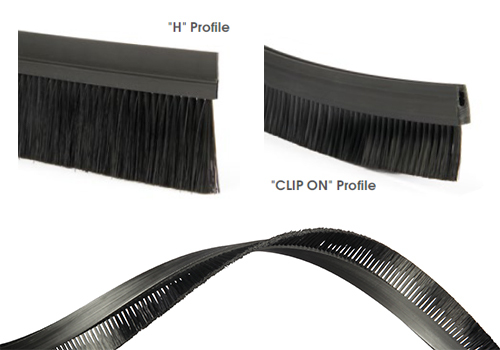 Select "H" Clip On "C"
Flexible brush strips are easily adapting to each shape thanks to its flexible profile. 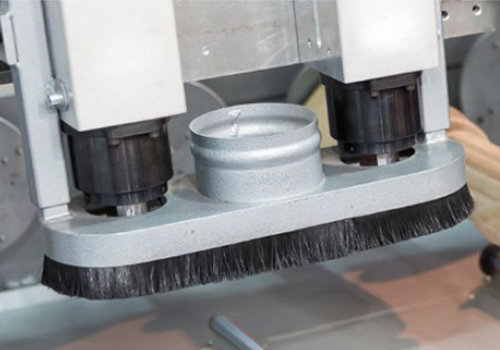 It can be used for multiple applications, which including sealing, guiding, wiping, slowing down and pressing. 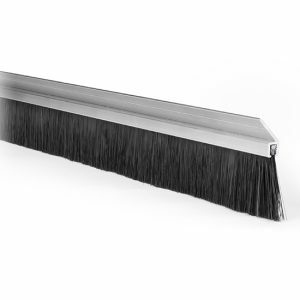 Supplied in a flat box for easy storage, 25 metres of this flexible product means you can cut to your required length. 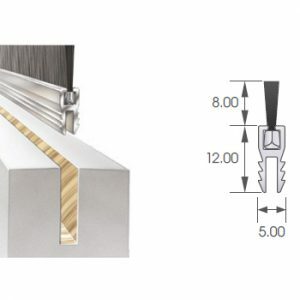 Two types of fixing profiles to choose from. 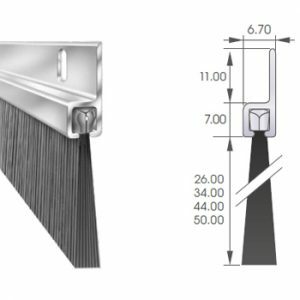 Trim lengths available are 20mm, 30mm, 40mm and 50mm. The standard core material is thermoplastic rubber. 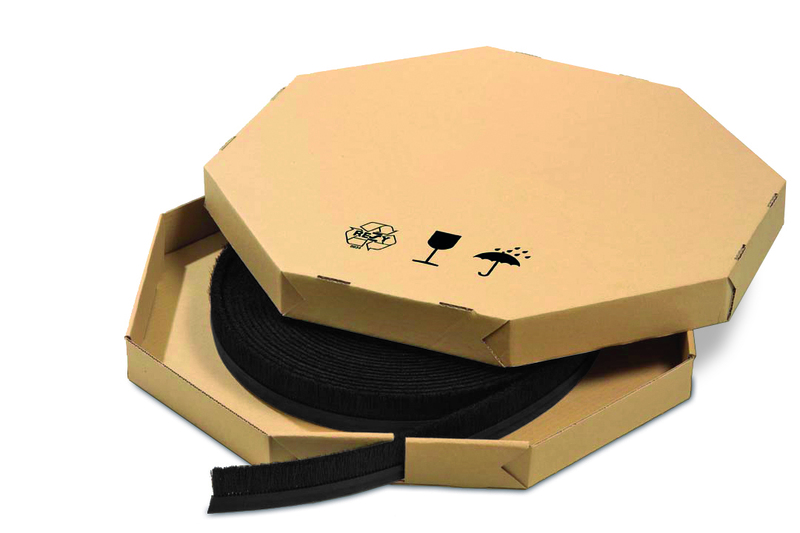 Delivered rolled up in a compact Octagonal shaped box, which has been designed for easy transport, storage and use. 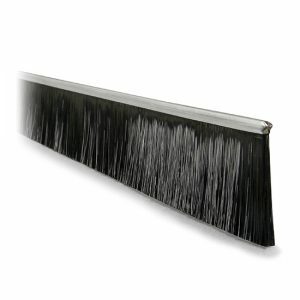 Due to a special opening in the side of the box, the flexible brush seal can easily be cut to the right size.